Mary Therese Winifred Robinson (nee Bourke) was born in Ballina, Co. Mayo on the 21st May 1944. At 25, Mary Robinson became Ireland's youngest professor of law when she was appointed Reid Professor of Constitutional and Criminal Law at Trinity College, where she also served as lecturer in European Community Law. 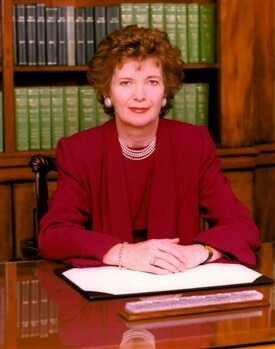 From 1969 to 1989, Mary Robinson was a member of Seanad Éireann. She quickly gained a reputation as a strong advocate for human rights, campaigning to eliminate discrimination against women in Irish society. She also worked as a legal advisor in the campaign for reform of homosexuality laws. In 1990, she was the first woman to be elected President of Ireland. While in office, she used her influence to draw attention to global humanitarian issues. She traveled to Somalia in 1992 and went to Rwanda after the genocide in 1994. When she visited Queen Elizabeth in London, it was the first such meeting between the heads of state of the two countries. She famously put a symbolic light in the kitchen window in Áras an Uachtaráin, ( the candle in the window ) to remember the Irish Diaspora. In 1997, she became United Nations High Commissioner for Human Rights, a post she held until 2002. In July 2009 she was awarded the Presidential Medal of Freedom, the highest civilian honour bestowed by the United States. 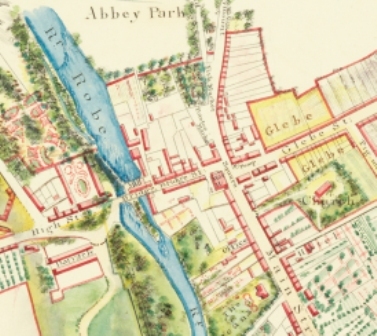 This page was added by Averil Staunton on 29/04/2011.